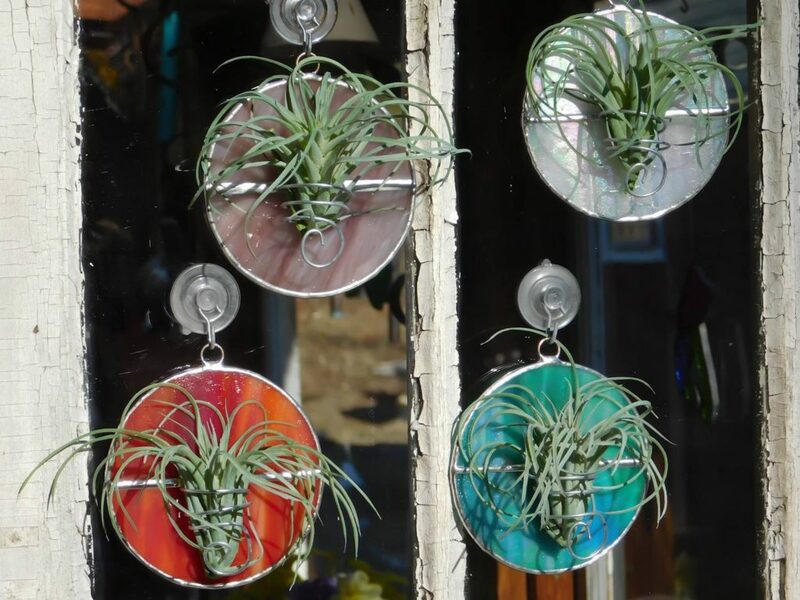 Because where else were you gonna store your air plant? Give it a beautiful home with a lovely stained glass air plant holder. 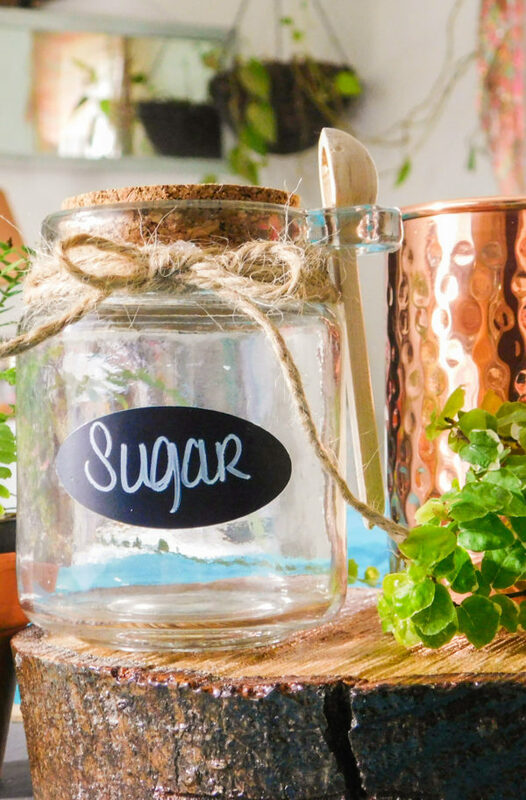 Plant killer? No worries…select the fake air plant option & we’ll include an unkillable plant for ya! 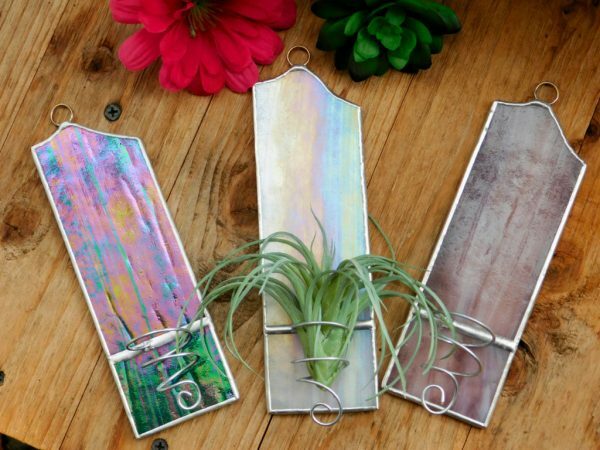 What makes an air plant prettier? 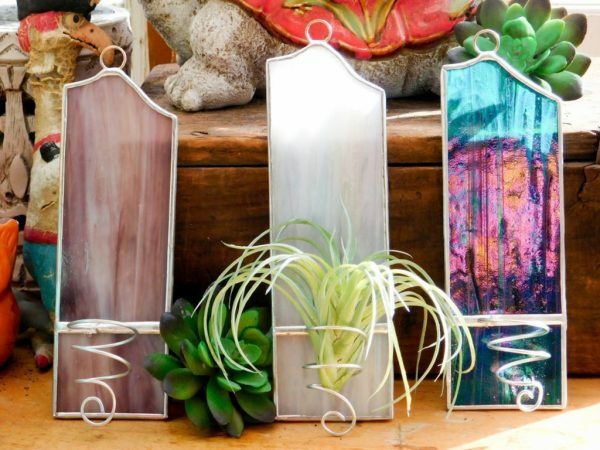 A stained glass air plant holder of course! 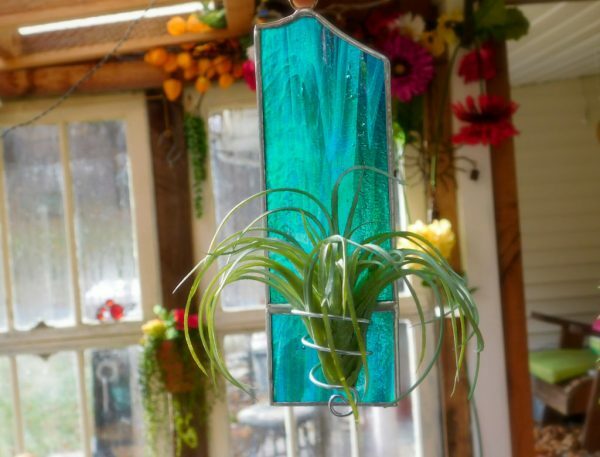 Have a lonely little air plant that has no where to live? 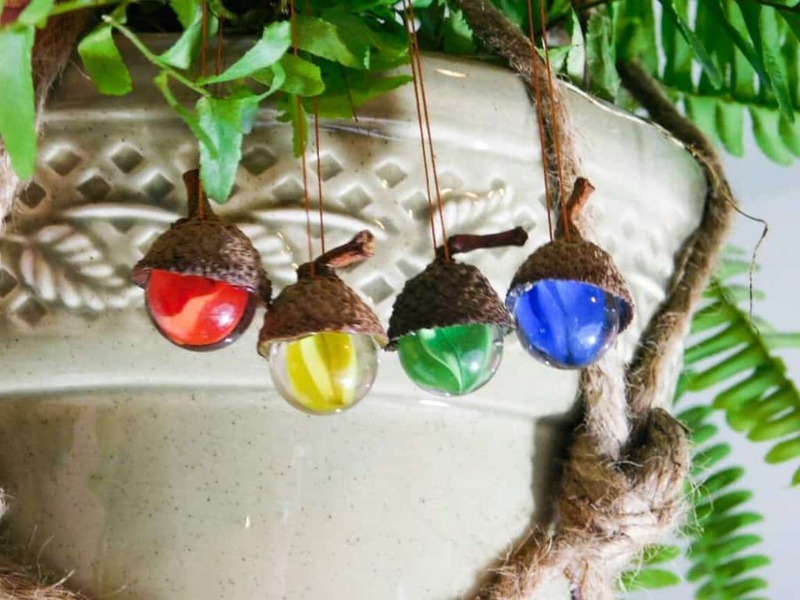 Give it a beautiful home with this lovely holder. Made with semi-opaque glass so your holder will shine bright with or without sun. 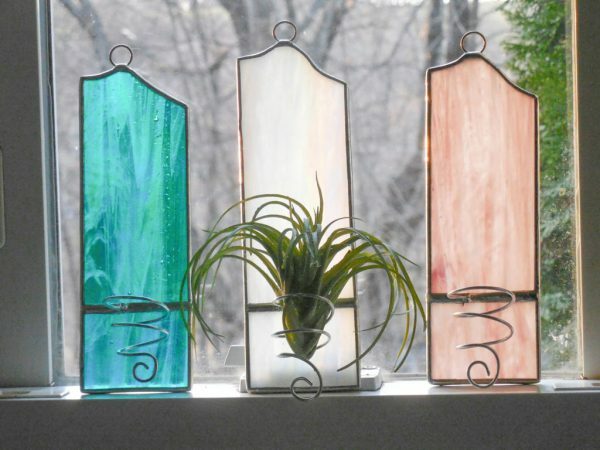 Perfect gift for the plant lover in your life. 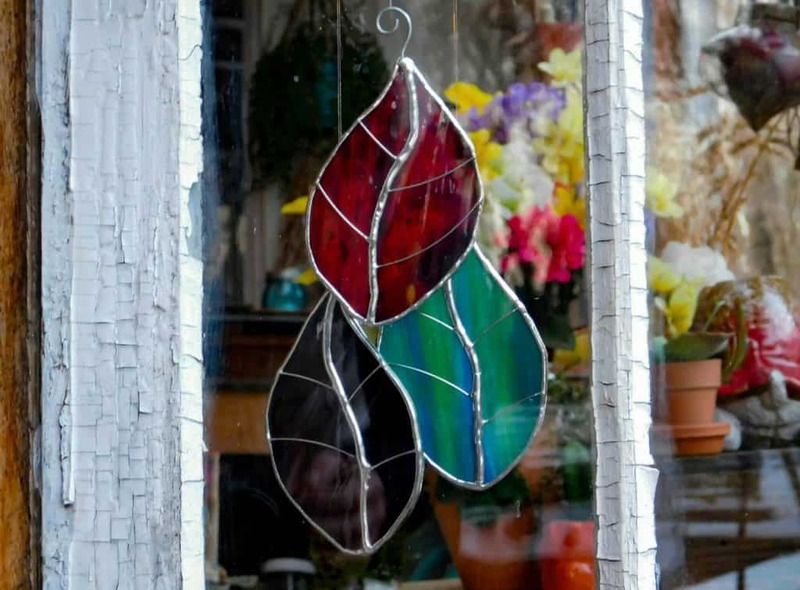 Or for you…if you happen to be the plant lover. 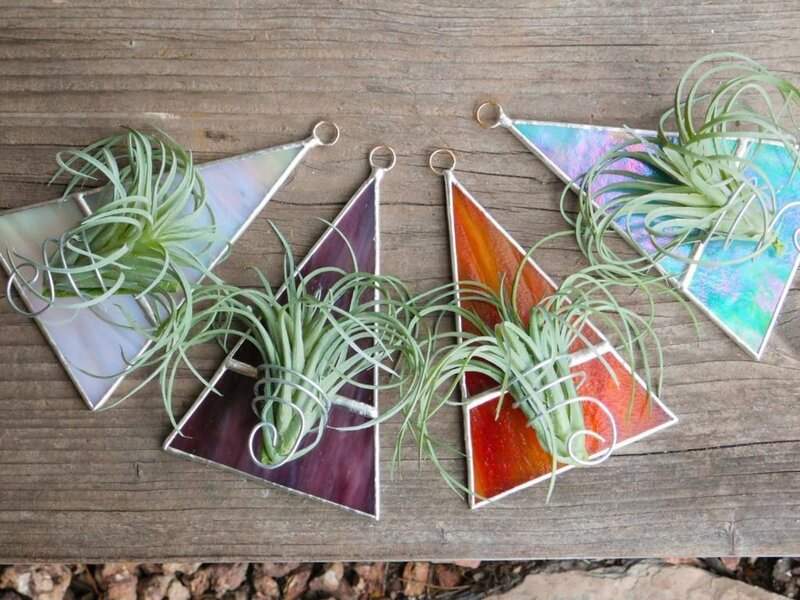 Choose the fake air plant option if you’re bad at plants. 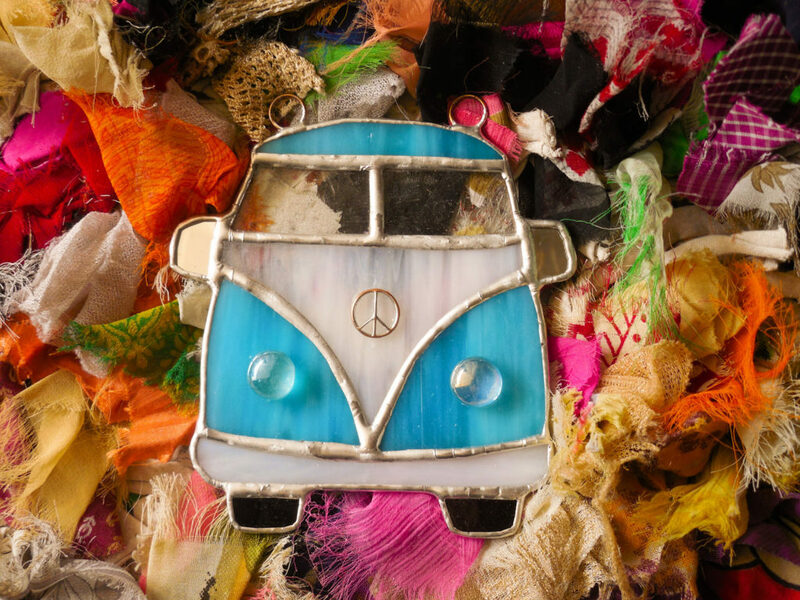 Get a lil bit of nature wherever you are. Hang it on your wall, in your window, or even in your cubicle. 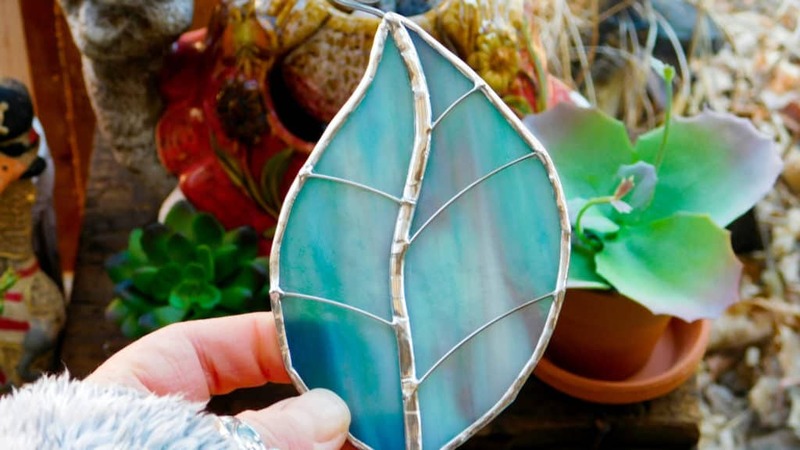 Made with people, plant, and earth friendly lead-free solder. 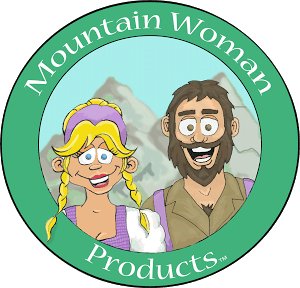 Designed and handcrafted by Mountain Woman Products (that’s us!) in PA.